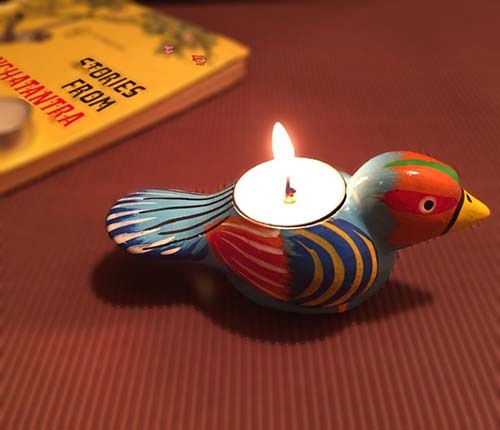 The Panchatantra is a Sanskrit collection of stories known for centuries as bedtime stories for kids. 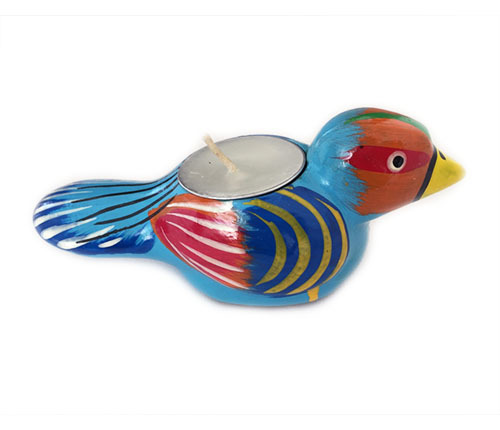 The bird papermache candle from Uru India is inspired from the colourful fables of Panchatantra stories. 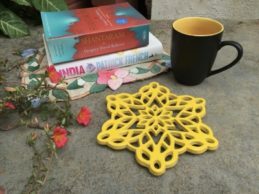 Handcrafted by artisans of India.